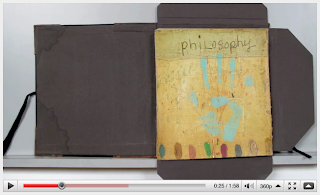 Here's a very engaging video (Windows Media format) from Story Painters, a show featuring work by Inez Storer, Squeak Carnwath, and Hung Liu, at the Bedford Gallery in Walnut Creek. The video includes interviews and commentary by all three artists and the curator, Carrie Lederer. Story Painters runs from February 16 to April 11. Please check the Bedford Gallery website for more events related to this show, including a collage workshop, a happy hour with the artists, a morning presentation by Inez Storer, and more.